January to April of 2012 was rough. 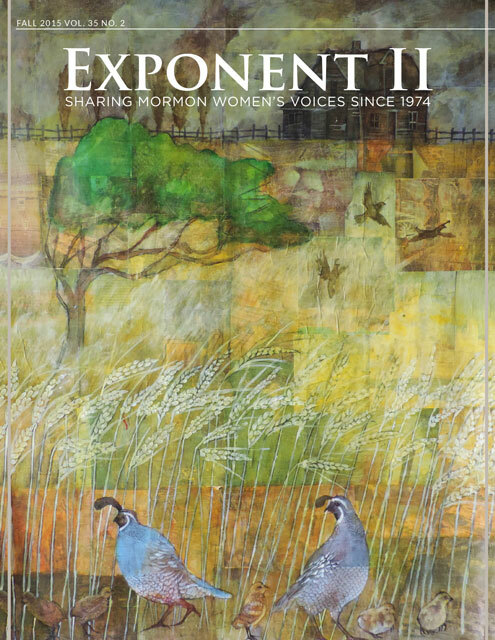 My co-editor, Aimee, and I were compiling Exponent II’s LGBTQ-themed Spring issue. It was heart-breaking. These stories, more than we could publish, kept me up at night. As I witnessed pain, loneliness, and helplessness in so many narratives, I also felt alone. I tried to tell friends, including a current Young Women’s president. I see that time as a sort of gestation period for my birth as a LGBT ally. My conscience was permanently altered, and after that magazine came out, I knew that I couldn’t go back to the way I had been before…sympathetic but publicly-silent. Fortunately, our group leaders had other plans. So, my spouse and I did. I feel privileged to witness my new friends’ stories every month–ones of pain and hurt, but also deep testimonies of God’s love and the tender mercies of acceptance and love in unexpected places. We laugh together, we cry together, and I hope that I can give back a portion of the warm glow I feel from these friends each time I see them. As a LGBT ally, I’m pretty quiet in the group. It’s not my place to speculate. I’m there to be supportive and listen. Sometimes, it is difficult to be in those meetings. I feel conflicted as I see many of these lovely, lovely people with strong testimonies feel rejected by the Church and often by God. I hurt for them, and I hurt for the church that is missing out on their strengths. Often, I feel love and hope and know that everything is going to be all right. So much progress has happened in the last two years (hooray for mormonsandgays.org!). But, I also still worry that the current cultural attitudes and doctrine in place mean that change won’t come quick enough and we will continue to lose wonderful people and their families to depression, inactivity, and suicide. I’m grateful for my birth as a LGBT ally, and I will continue to do what my friends ask of me. This means that some days, I try to speak up in meaningful and helpful ways. 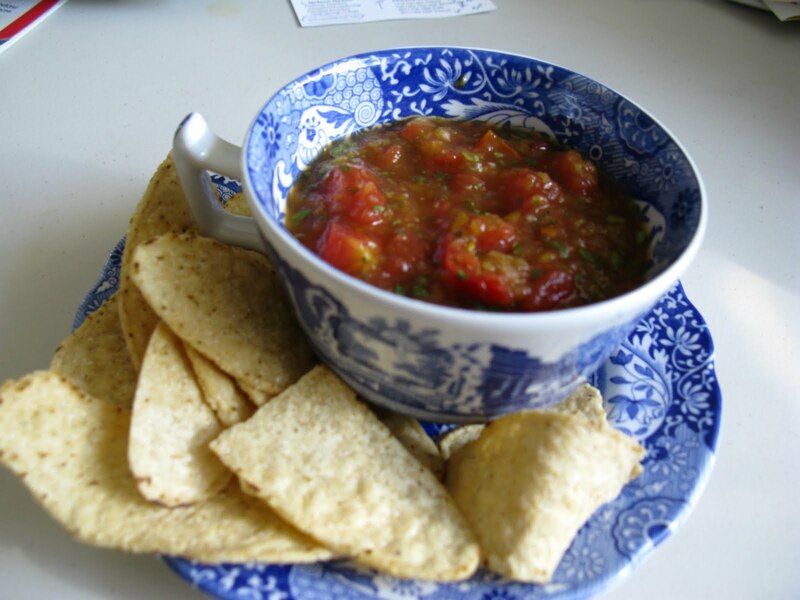 Other days, I go to our meetings bringing chips and salsa, a broken and small offering of my solidarity and support. Our bishop was asking me how the Mormon LGBT group was going a few weeks ago. He is supportive and informed of our involvement. I was surprised to find myself fighting back tears as I struggled to explain to him what a blessing these gay Mormons have been in our life. To say they are fabulous doesn’t do it justice. That is so sweet to hear, Nate. But also, how cool is your bishop? I would guess many bishops would be suspicious of your and Emily’s participation. I love that he’s supportive! So glad to have you on this journey with us, Emily. You’ve been a great addition to our group. What a wonderful way to think about this birth series, Emily. I love to hope that becoming an LGBT ally is a birth we can all experience someday. Thank you! Having a sister who is bisexual has helped me see this more clearly as well. It makes it easier to teach my children that homosexuality is okay when their Aunt and her partner are people they love. This is so powerful, EmilyCC. You have inspired me to seek ways to be a better ally to the LGBT community. I think people forget that it is hard for most anyone to “come out,” Mormon or not. But when you add the cruel and dismissive culture of the church that gayness can be “blessed away” or is learned, or is a result of sin when there is really no sin present– a hostile environment quickly ensues. I am so grateful that you have made your home into a place of Christlike love. Thank you very much for sharing this with us. Wow! What a wonderful thing to be doing! I love that you do this! I love how you’ve written about it. You rock, EmilyCC! Emily, I love you for this. What a hard labor and wonderful birth.